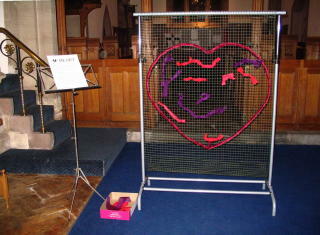 The prayer walk around St Saviour's, on Monday evening of Holy Week, provided 5 prayer stations based on the head, feet, heart, and two hands of the crucified Jesus. 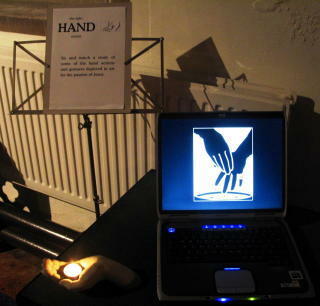 Accompanied by quiet instrumental and choral music, people made their way around the stations at their own speed. 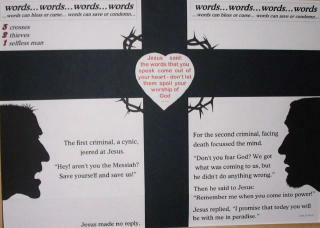 Each station had written guidance and was interactive in some way. 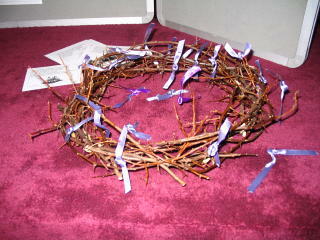 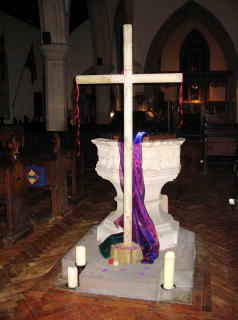 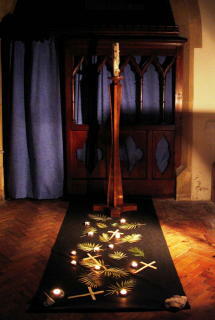 It was created by Janet Lunt for reflection during Holy Week 2008 at St Saviour's Church, Coalpit Heath.